The 1975 frontman thought it was "cool" that his flirtation with the 'Shake It Off' singer - who is rumoured to be the subject of his song 'She's American' - generated attention around the world, but only because he is fascinated by how interested other people are in the US superstar. He told Q magazine: "I don't do anything else, so it doesn't leave a lot of room for me going out or sh***ing someone. "So the one time I did have a flirtation with a girl it ends up going everywhere... I mean, I got on E! 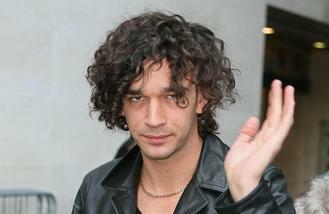 News and people were like, 'Who's Matt Healy?' so that was cool. "But I didn't make a big deal out of it myself. It's not really anything to talk about, because if she wasn't Taylor Swift we wouldn't be talking about her. She wasn't a big impact on my life. "It's just interesting to me how interested the world is about Taylor Swift." The 26-year-old singer admits he isn't "very good" at relationships and would have struggled to commit to Taylor because it would have been tough to live in her shadow. He said: "I feel like I'm not very good at relationships. "And the reason I mention that is because if I had [properly] gone out with Taylor Swift, I would've been, 'F***ing hell, I am not being Taylor Swift's boyfriend.' You know, 'F**k. That.' That's also a man thing, a de-masculinating, emasculating thing."